Bringing you all the latest news, rumors, and speculation on Sony’s upcoming next generation game console: the PlayStation 5. 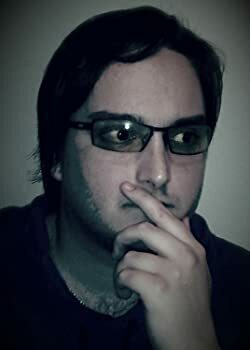 Bradley Ramsey is an experienced writing and gaming author with over twenty years of experience with gaming. With almost a decade of experience in the industry and hundreds of published gaming articles ranging from reviews, to editorials, to speculative pieces, he is the ultimate guru for any and all PlayStation knowledge. In addition to writing for next gen console site PS5 Gamers, Bradley has also been working with PS4 Experts for several years. He works as a full-time freelance writer living the dream during the day and gaming every night. In the past, Bradley worked as an Assistant Manager for GameStop Inc. where he gained valuable experience in the industry serving fellow gamers. Bradley holds a Bachelor’s Degree in English/Creative Writing from the University of Central Florida. He is also a published author on Amazon Kindle and an experienced SEO writer working with a variety of niche blogs. Looking to the future, Bradley produces speculative pieces for PS5 Gamers as he predicts the future of gaming. He knows Sony is reading and he welcomes them to steal his ideas (but only if they give him credit). You can reach Bradley on Twitter: @Imagine2Create or by reaching out in the comments on any of his articles.